The George Washington Prize, considered one of the nation’s largest and most notable literary awards, recognizes prominent historians for best-written works on the nation’s founding era. Winiarski is one of seven finalists being recognized for books written in 2017. 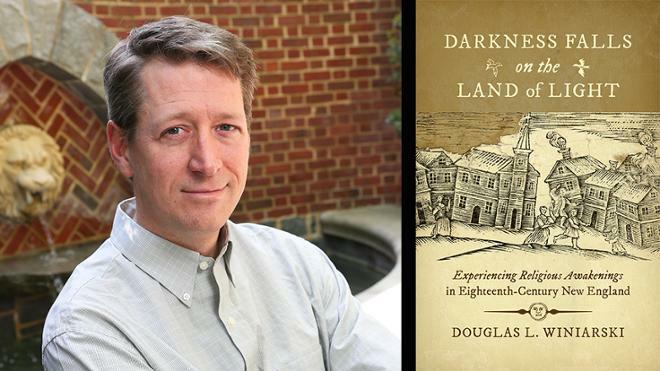 His prize-winning book focuses on 18th century New Englanders, specifically how evangelicalism emboldened ordinary people to question traditional authorities. Winiarski’s book was the “Choice” Outstanding Academic Title and has been awarded Book of the Year by the Jonathan Edwards Center at Trinity Evangelical Divinity School. The finalists will be recognized May 23 at George Washington’s Mount Vernon. The winner will receive $50,000.